Surf Camp with one of the best surf schools in Ericeira, known as Europe's surfing Mecca! 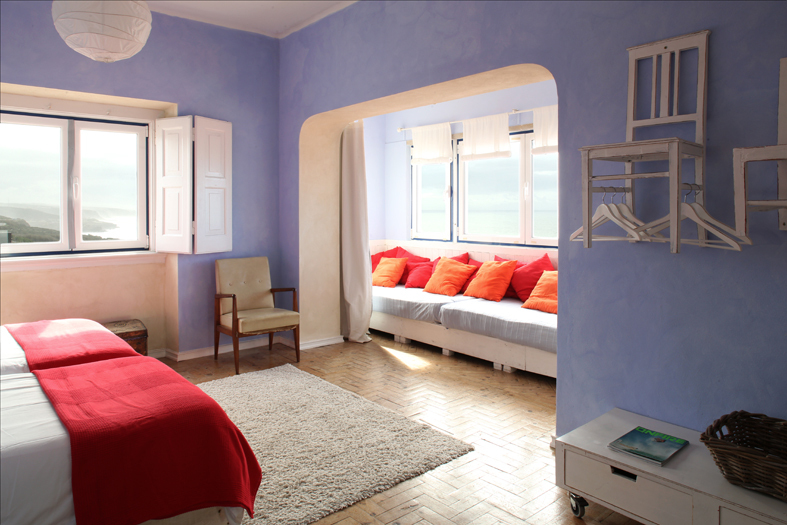 Great location with stunning views of Ericeira’s surf spots. The Surfinn Ericeira Surf Camp is located in Ericeira, a fisherman's village close to Lisbon, a World Surfing Reserve and one of the best surfing spots in Portugal. Touristic Tax of 1€ per person per night in the period 1st November to 30th April up to a max amount of 7€ per person. Should be paid on site. Touristic Tax of 2€ per person per night in the period 1st May to 31st October up to a max amount of 14€ per person. Should be paid on site. Surf Ericeira is a Portuguese coastal town a few kilometres away from Lisbon and its citizens are known to be warm, welcoming surfers and travellers all year round. 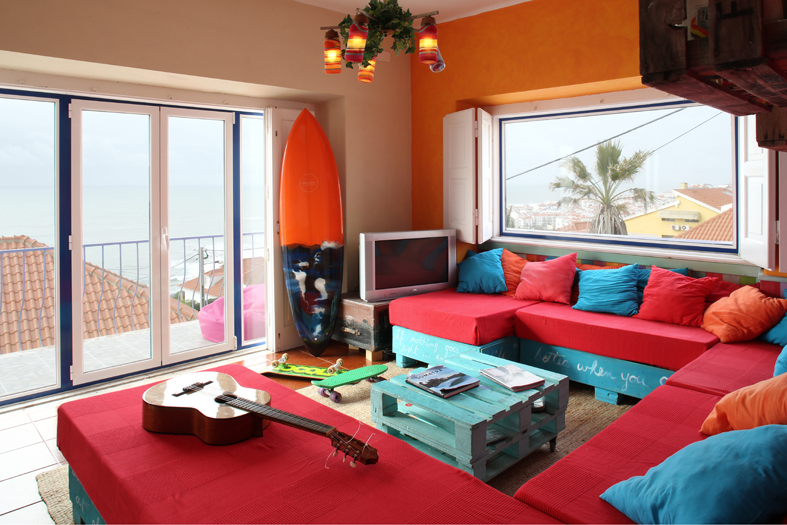 Surfinn Ericeira Surf Camp and its surf school is perfectly located in the middle of all the surfing action in Ericeira. This historic old fisherman's town is better known as Europe's surfing Mecca and internationally famous as one of the best surfing spots in Portugal. Recently, Ericeira was classified as a World Surfing Reserve due to its phenomenal surf conditions and landscape, which exposes even more its image of Ericeira as a surf city. This is one of the rare coasts in the world to be classified and protected. The surf camp offers a professional surf school and all the facilities you need for surf holidays in Portugal, plus several leisure activities right in front of the beach. You'll find in Ericeira a great variety of surf breaks providing an incredible diversity of waves for every level. But if you're an experienced surfer, you're just next to several of Portugal's best surfing breaks, such as Coxos and Pedra Branca. Aside from unforgettable surf holidays, there are plenty of other outdoor activities that you can include in your package. As you will see, surfing has transformed this peaceful town into a major surf destination with plenty of cool people driven by the surf spirit. If you want to combine your surf holidays with a sightseeing tour, there are several interesting places less than an hour's drive! Down south, the picturesque and romantic village of Sintra, a UNESCO World Heritage Site due to its beautiful luxurious gardens, old palaces and glamorous villas. Further down south you'll find Lisbon, a remarkable city with its unique cityscape plenty of narrow streets and old monuments on each corner. 15 minutes driving to the East, you'll find Mafra, an old village with an amazing monastery built in the 18th Century. Find out for yourself this perfect place for an unforgettable surf trip to Portugal. Surfinn Ericeira Surf Camp is located right in the middle of the surfing action, just 5 minutes from Ericeira center and the nearest surfing beach of Foz do Lisandro, 15 minutes walking distance! It is made up of two houses from 60s that stand in front of each other separated by the typical Portuguese cobble stone road. 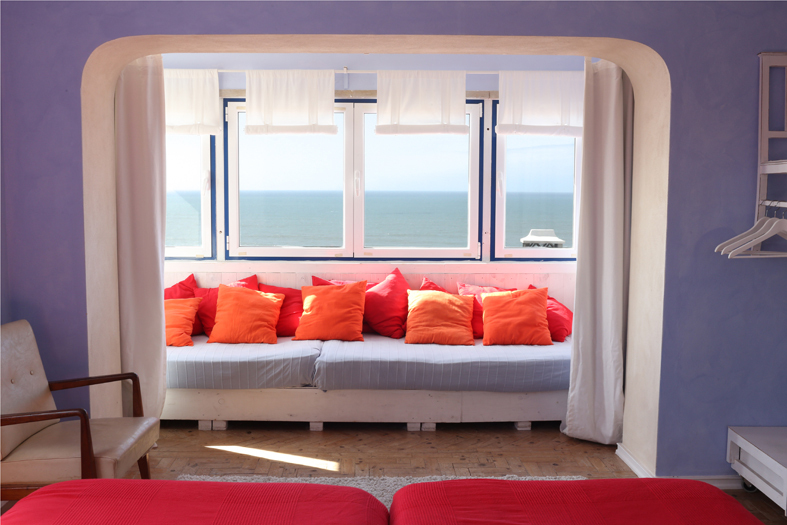 The surf camp has some of the best views of Ericeira, and most of the rooms have an aerial view of the village of Ericeira and its beautiful sunsets and some of the best surf spots, like Foz do Lizandro, Pico do Futuro, Praia do Sul and Praia do Algodio. Ericeira is also very close to Lisbon, about 30 minutes driving, making it perfect for a weekend surf break or short holidays. At the surf camp we do accept reservations even for just one night, expect during peak season. 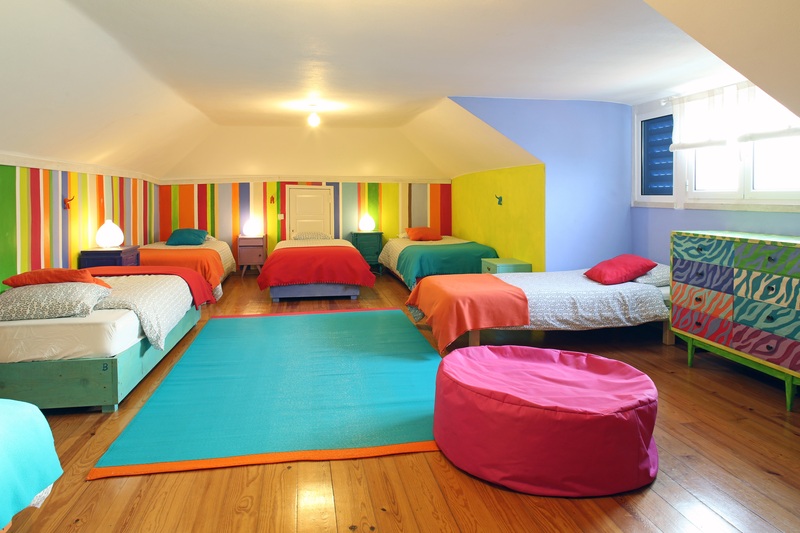 We offer 11 double / twin rooms and 1 dorm, with a total capacity of up to 30 people. 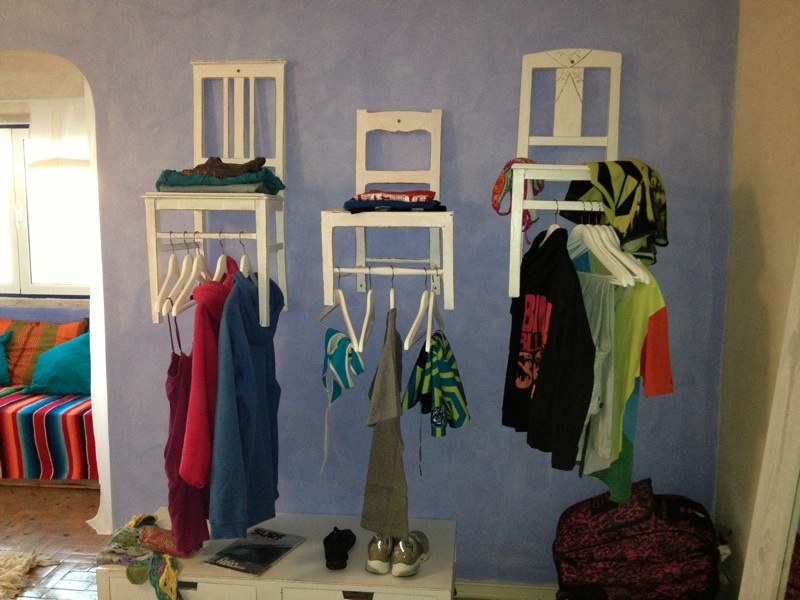 The shared room with six single beds has its own security lockers for the convenience of solo surf travellers. 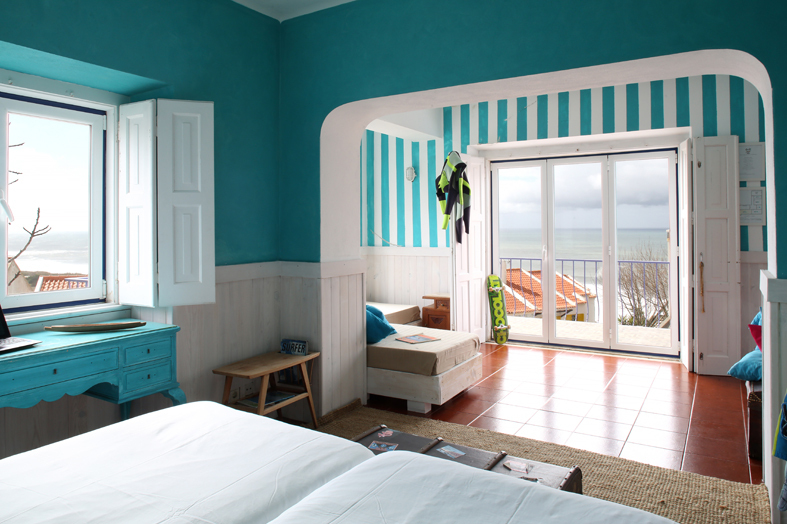 The location of the surf house is just stunning, right on top of Praia do Sul with an amazing view that goes from Praia d'Algodio all the way to Cabo da Roca. The surf camp is the ideal place to enjoy your evenings with other surfers and friends, sipping wine or cold beer at the terrace while gazing at the Portuguese sunset. At the surf camp, there's a kitchen where guests can prepare sandwiches and light meals, as the fire place and the oven are for staff use only. 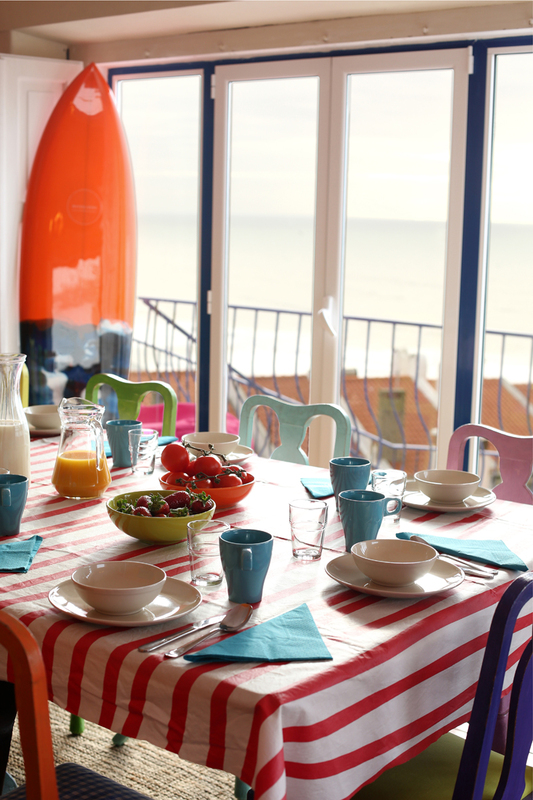 In Ericeira and nearby towns, there are plenty of restaurants and coffee shops. Usually our staff goes out for dinner with guests, guiding them outside the water as well! For lunch guests usually arrange their own food from one of the local groceries. Twice a week we make a BBQ (one of meat and one of fish) at the Surf house for the cost of 25 Euros per person. Since you're in the centre, you can easily walk around and get lost in the narrow streets, tour the traditional shops, surf shops, restaurants, bars and discos. Ericeira is a place where many parties, concerts and other events take place, especially during summer. 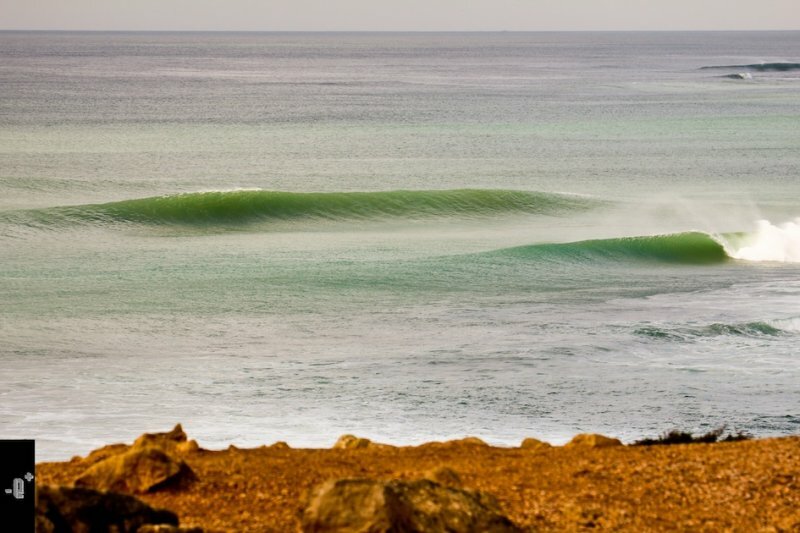 Check out the calendar and schedule your surf trip to Portugal the soonest. We really recommend booking in advance as availability for the Surf Camp and Surf School may be short. If you're worried about which surf equipment to bring, the most appropriate will be a wetsuit 3.2 mm in the summer and a 4.3 mm in the winter. In terms of surf boards, it really depends on your surf skills. However we rent surf equipment like wetsuits and surf boards at the surf camp so you won't need to fly to Portugal loaded. Alternatively, you may buy new or second hand gear from one of the many local surf shops. Ericeira is one of the many surf cities of Europe, so there will be plenty of surf shops! Surfers from Australia and the USA have discovered Ericeira 50 years ago and since then, surf itself has transformed this old village into a must visit destination for skilled surfers from all over the world. Nowadays many people chose Ericeira for their surf vacations in Portugal. Surf is everywhere and it's part of Ericeira's lifestyle along with other old traditions. Ericeira is known worldwide for its reefs and point-breaks, and it's not by mistake that it was nominated a World Surfing Reserve back in 2012. 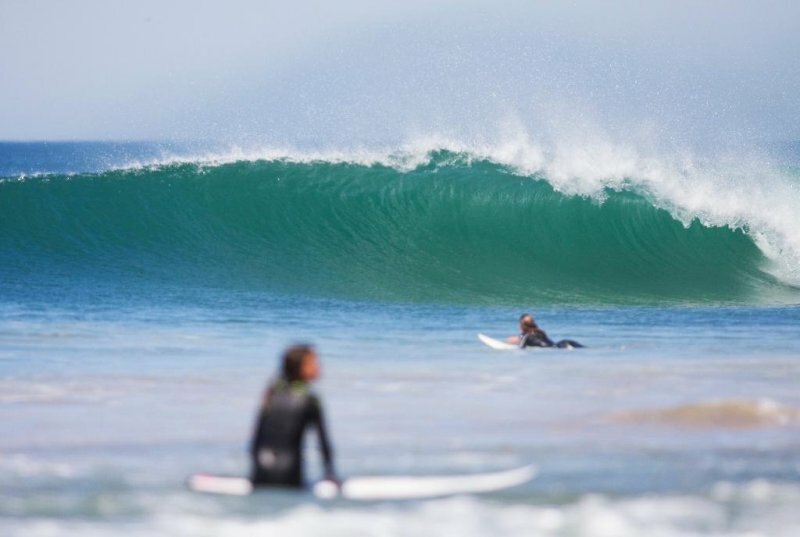 Despite being a paradise for experienced surfers, Ericeira is still a very beginner friendly surf destination as there are also mellow beach breaks where the less experienced surfers can improve their surfing with surf classes at our surf school. Ericeira is blessed with a mild temperature all year round, characterized by summers that never get too hot and winters that never get too cold. The water temperature is also appropriate for surfers and you will not have any problems surfing for up to 2 hours. Ericeira is considered one of the best places to surf in Europe due to its high quality and variety of waves as well as its consistency all year round. There are world class spots like the Coxos, a famous right hander reef break and Pedra Blanca in Ericeira, one of the few left hands around. Ribeira d'Ilhas, a surf spot between Ericeira and Ribamar, is also a famous wave where many surf events take place. This is a rocky surf break, yet it is also where many beginners learn to surf in Portugal. Not far from Ericeira, you will have other international surf spots like Peniche and Santa Cruz. With so many surf spots around, Ericeira can always guarantee you a high-quality surfing alternative nearby during your surf holidays in Portugal. 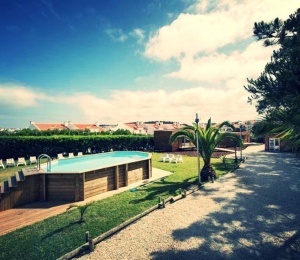 Surfinn Ericeira Surf Camp is just a few minutes distance from all surf spots around! In our surf school, experienced and certified coaches guarantee superior teaching with special attention to safety. They know the exact place and time to go each day. Each surf lesson is programmed according to weather conditions, swell size, tides and surf level of participants. 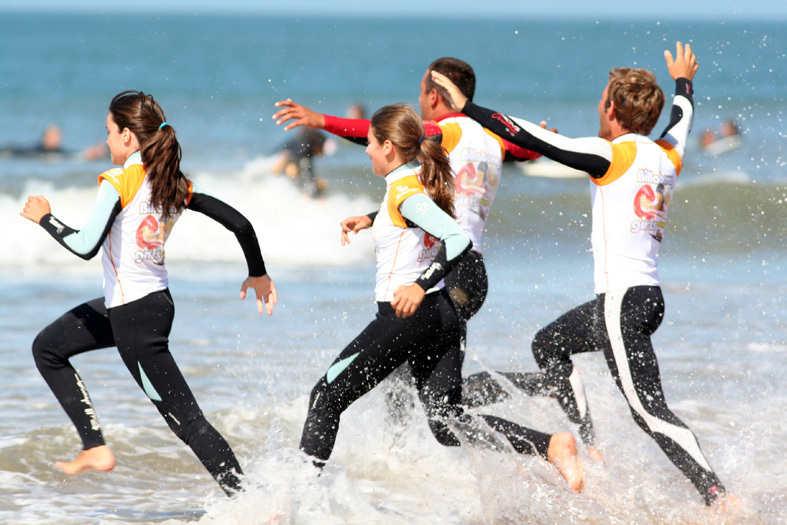 This way, the surf camp assures a progressive learning, focused in your well-being and total fun! SURFINN © 19-04-2019 00:47:45. ALL RIGHTS RESERVED.